Starting a blog comes with its share of personal assumptions (some of which I’ve previously shared), realities and surprises. In the short time I’ve been a blogger I’ve managed to gather a wealth of knowledge that will help me on my journey for years to come. 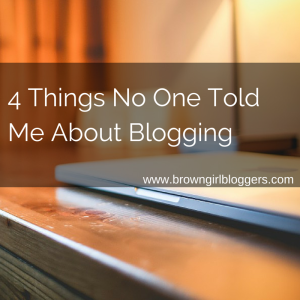 Here are four things no one told me about blogging that I’ve discovered along the way. Continue reading my guest post on Brown Girl Bloggers.